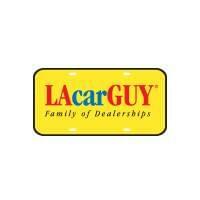 LAcarGUY has College Graduate Programs at all 10 of our dealerships where you could get cash back, discounts and other cool incentives. If you are a recent college graduate, you could be eligible to lease a new vehicle through our College Graduate Program which is designed to help you with retail financing, purchase and leasing. Disclaimer: An accredited degree from a 2-year or 4-year college will qualify. Graduate, nursing and several other degrees may also be eligible. Some programs even qualify if you graduated within the last two years or will within six months.